California reading and writing teacher Kelly Gallagher shares a powerful keynote at the 2016 Better Together: California Teachers Summit on the importance of integrating writing across curriculums. Actor and lifelong learner Ernie Hudson helped to kick off the 2016 Better Together: California Teachers Summit with his inspiring story of rising out of poverty to launch a successful career in Hollywood, with the help of his teachers. Check out this short recap of all of the great connections we made and things that we learned at our 2015 Better Together: California Teachers Summit. 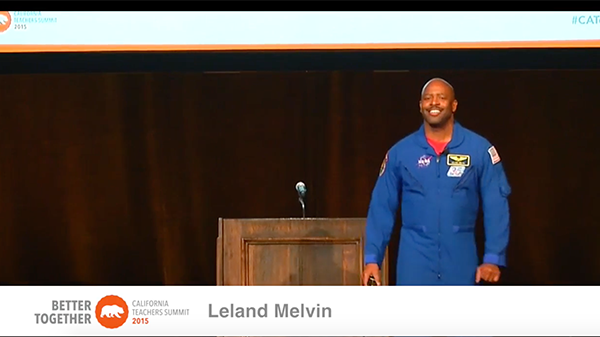 A football player turned NASA astronaut, Leland Melvin truly exemplifies that the sky is the limit for students with a quality STEM education. He has served as the co-chair of the White House task force charged with developing the nation’s 5-year STEM education plan, as well as the International Space Education Board, a global collaboration on learning about space. In his keynote speech from the 2015 Better Together: California Teachers Summit, Leland shares why it’s so critical for teachers to work together and create unique learning experiences to spark students’ passion. Perhaps best known for her role on NBC’s Community, Yvette Nicole Brown is a champion of teachers and recently partnered with Stephen Colbert on an initiative to fund education projects in South Carolina. 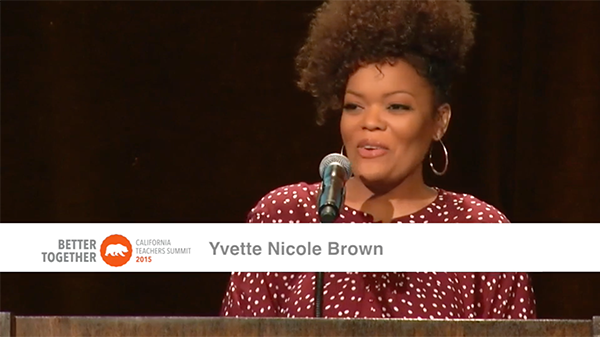 In her keynote speech from the 2015 Better Together: California Teachers Summit, Yvette shares memories of her favorite teachers and reminds us why teachers are so important.